Offering complete wedding entertainment packages for your big day including the ceremony, afternoon reception, wedding breakfast and evening party, Alex has a 5 star rated service and offers something for everyone. Alex can also act as your 'Toastmaster' bringing a personal approach to the formalities of the day. Specialising in unique cover versions of songs from the past 40 years including many current numbers, Alex's live loop pedal approach is much more 'Ed Sheeran' than the regular swing and 'Buble' acts which you may have seen previously. Acting as a live 'JukeBox', Alex will interact with your guests taking requests and keeping them involved thought the day building up to a floor filling party in the evening. Alex can perform as a Solo Singer/Guitarist, Duo or Band. 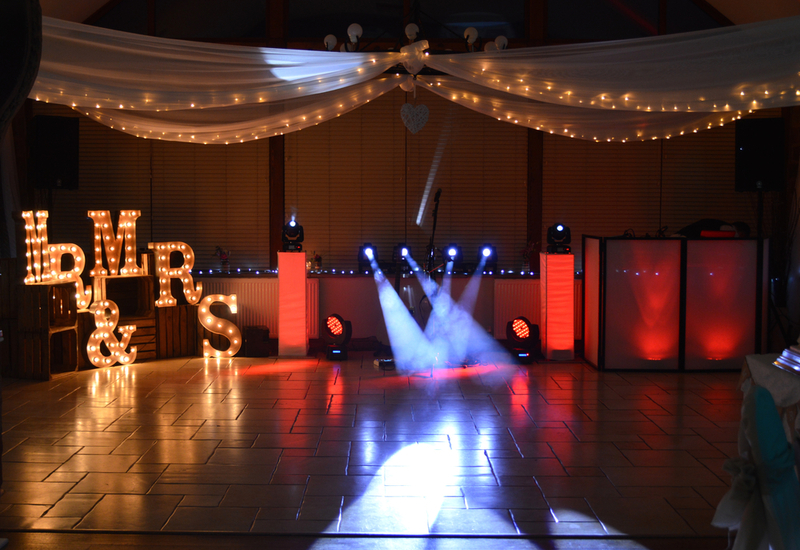 All evening packages include Alex's own professional DJ and stunning lighting setup. 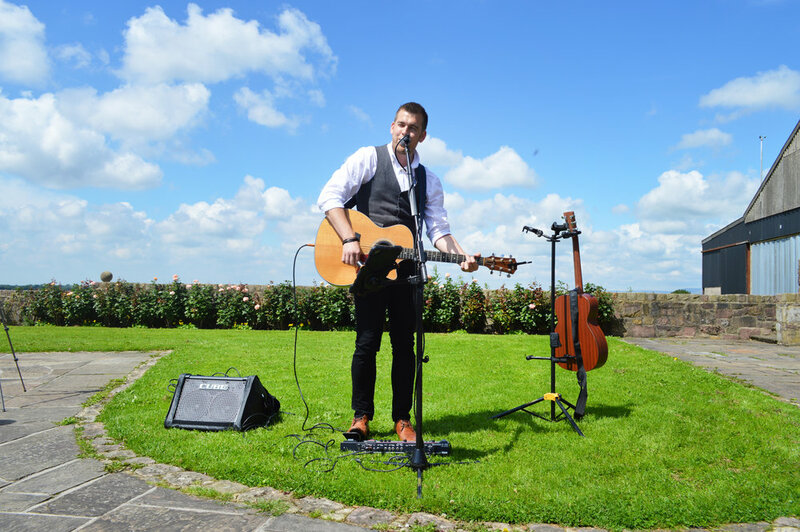 Alex has a wealth of experience after performing at 100's of weddings and events world-wide and will sit down with you to tailor any package to suit your requirements. Alex can also provide the hire of the popular LED Starlit Dance Floor, Photo Booth and Name Monogram Projection.